A survey concerning the trail is now online, and you are asked to participate by answering questions and sharing ideas. The survey can be found here. Several weeks ago we shared a post about the B&O trail in our “Everything You Always Wanted To Know About” series; we thought it a good time to re-share! Southern Terminus: The south end of the Trail is located on the southwest side of the community of Butler off of Simmons Street. General Description: The Trail is primarily a rural rail-trail with short sections through two small towns and a northern endpoint in the city of Mansfield. It offers some changes in scenery along its route, from open farmlands, woods and river crossings, to short sections alongside a factory and a former grain station. 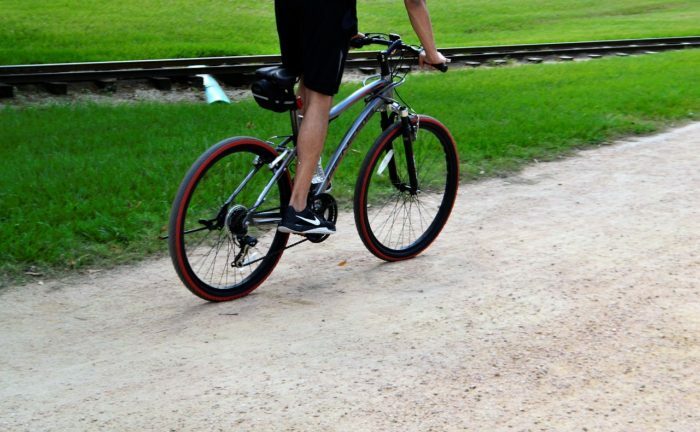 Facilities: Parks at both ends of the trail, and trailside in Bellville and Butler. Emergency call boxes. Food: Eateries near the Trail in small towns. Obstructions: The B&O Trail was the first in its area to become a bollard-free trail (took place in 2014).